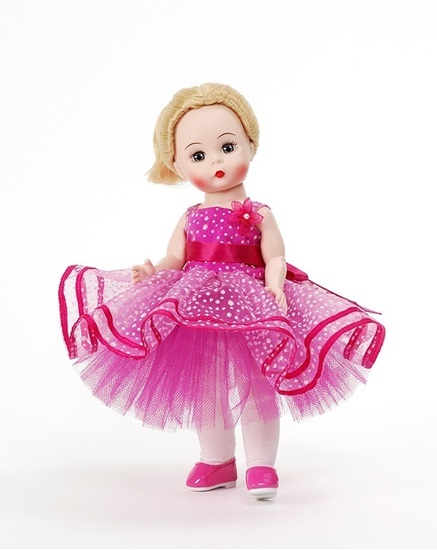 New in 2016 from the Special Occasions Collection by Madame Alexander, we are pleased to share "Birthday Wishes" , a fully articulated 8 inch Wendy with blue sleep eyes. Ready to spread some birthday cheer, she comes dressed in a sparkly pink sleeveless tutu with white polka dots and a matching pink satin bow. 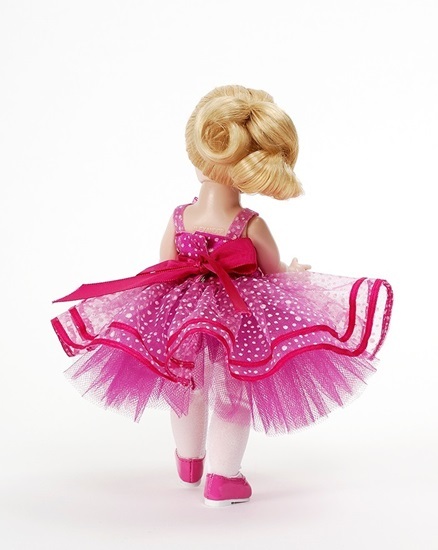 Her long blonde hair is tied back with a pink and white polka dotted bow, and white tights and pink shoes complete her festive ensemble.